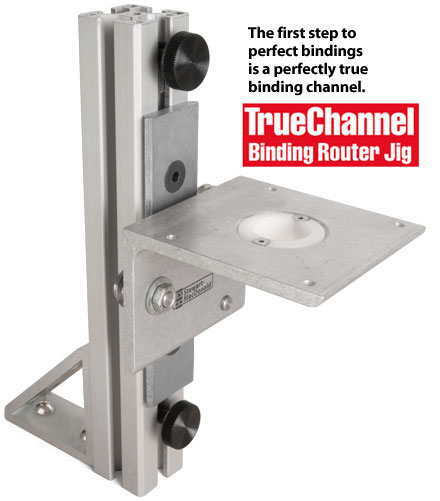 Even though I've been very happy with my Williams/Fleishman binding router jig, handling a router directly (even a small laminate trimmer) still kind of scares me; thus, I thought I might like to try the newest Stew-Mac "TrueChannel" binding jig. I used it for the first time on my 2013 Size 5 guitar. It really worked well! 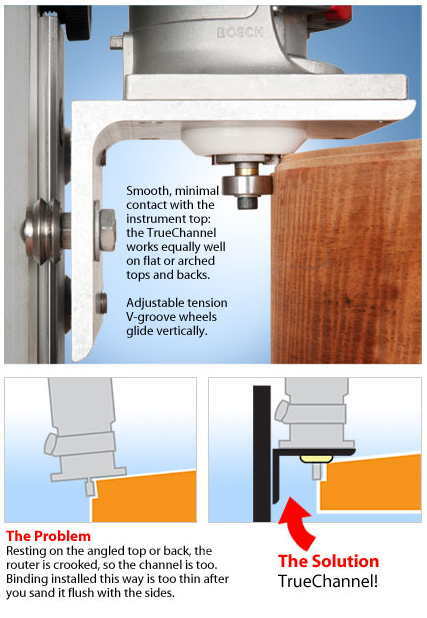 Ever since I had seen John Mayes's and Jeff Traugott's versions of this jig for gluing up tops and backs, I have intended to build one for myself. So, after finishing the Weissenborn, I did just that. 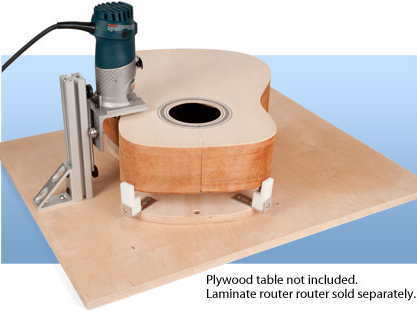 It uses 1/2" pipe and pipe clamps, a few holding strips to clamp down on the top/back halves so they don't buckle, and a notched plywood base. 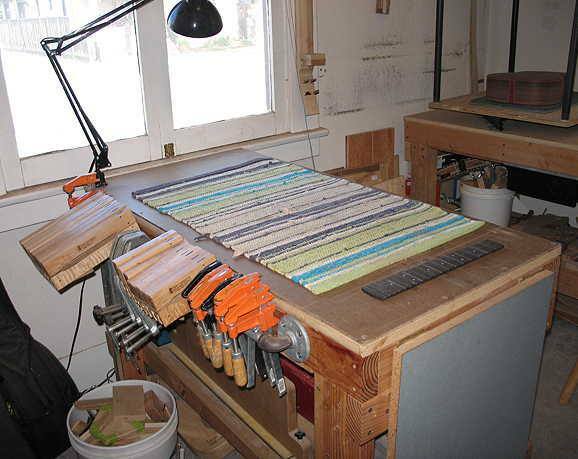 This one isn't really a "jig," but it certainly is a big help in the workroom. Had to postpone the building today to fix my clamp-holder. I had a 3/4" pipe rod & flanges screwed into the wall (next to the go-bar deck), and, after many, many years, today it suddenly fell off the drywall (too much clamp weight). So...I had to first remove my workbench top layers to access and reposition a sliding drawer, which would be inaccessible on the clamps side. Then I attached the clamps rod to the side of my workbench opposite the side I always work from. Just finished it. I'll spackle the holes in the old location and do a little repainting.